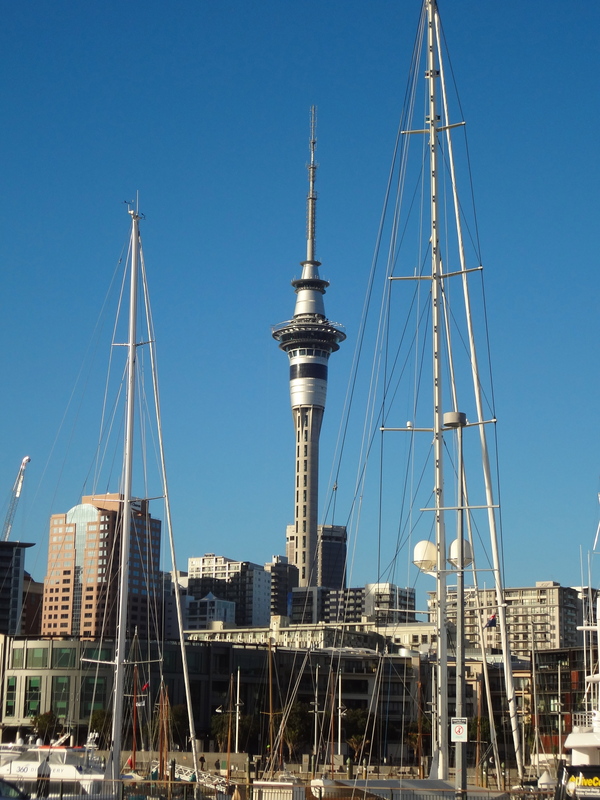 The Sky Tower is a landmark amongst the Auckland skyline. 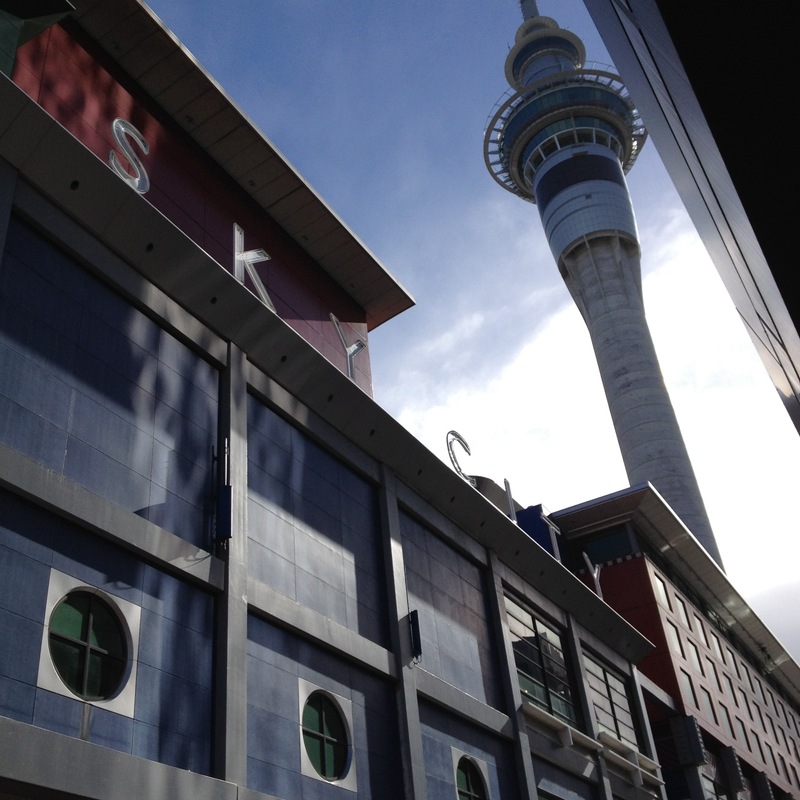 Sky Tower is actually part of the larger SKYCITY entertainment complex. 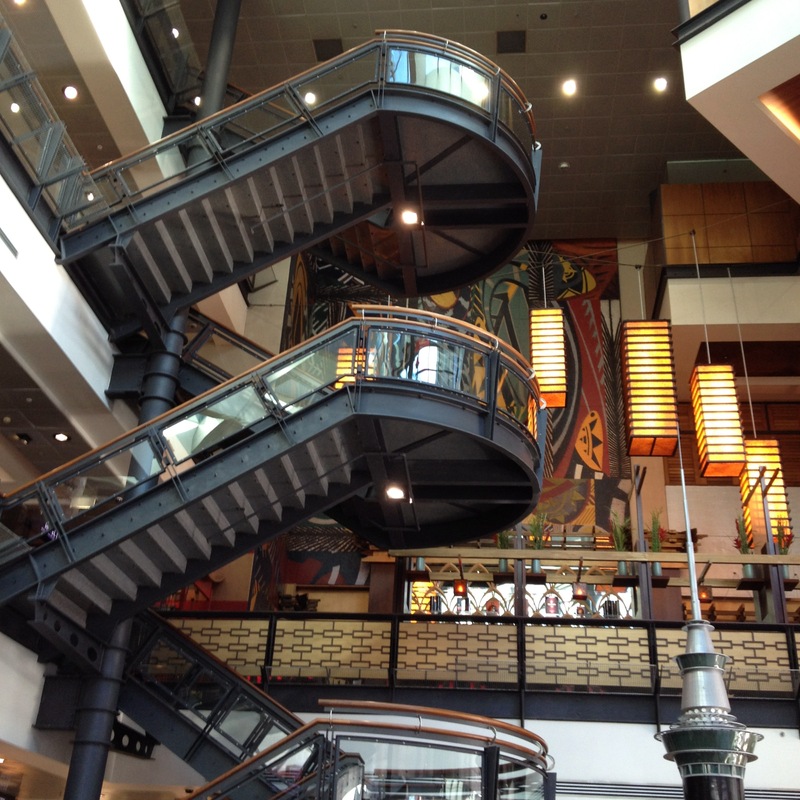 Inside is a casino, conference center, theatre, bars, restaurants, and even two hotels! On this particular day I was just interested in the tower, though. 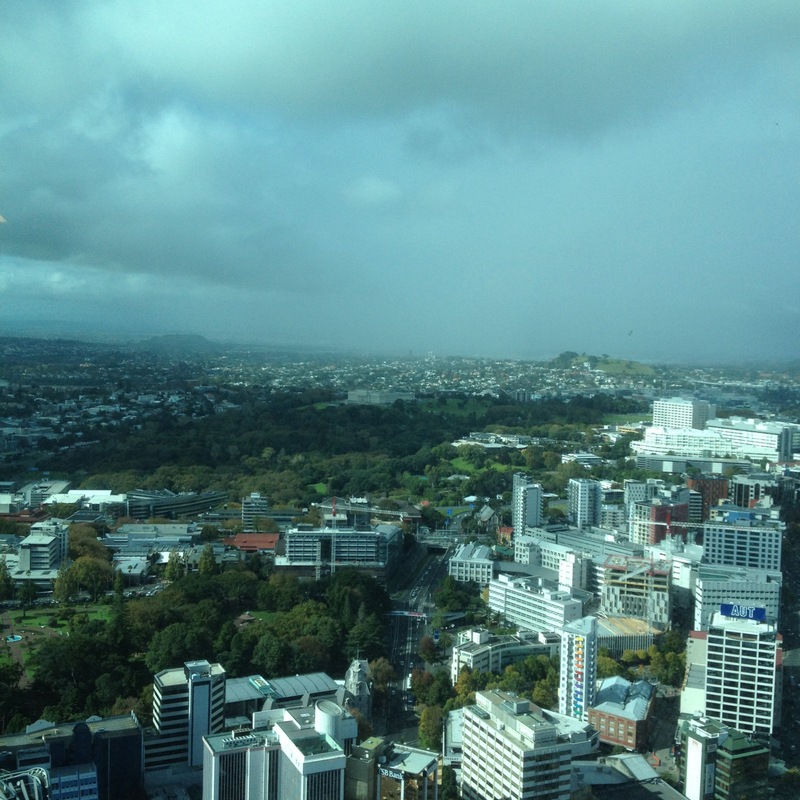 So I took the glass elevator up up up (reminded me of Charlie and the Chocolate Factory!) 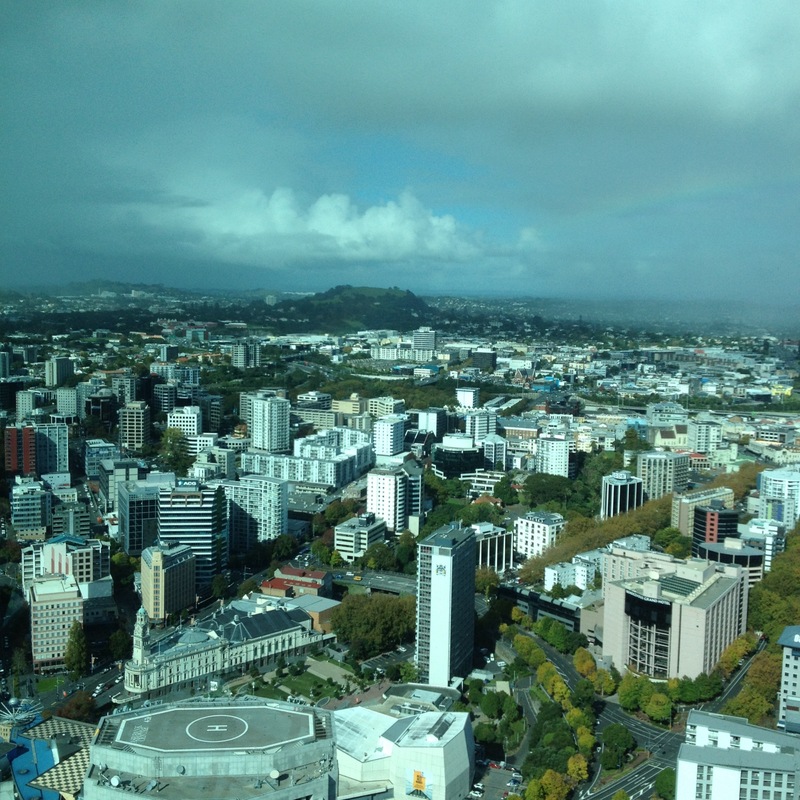 186 meters to the observation deck. 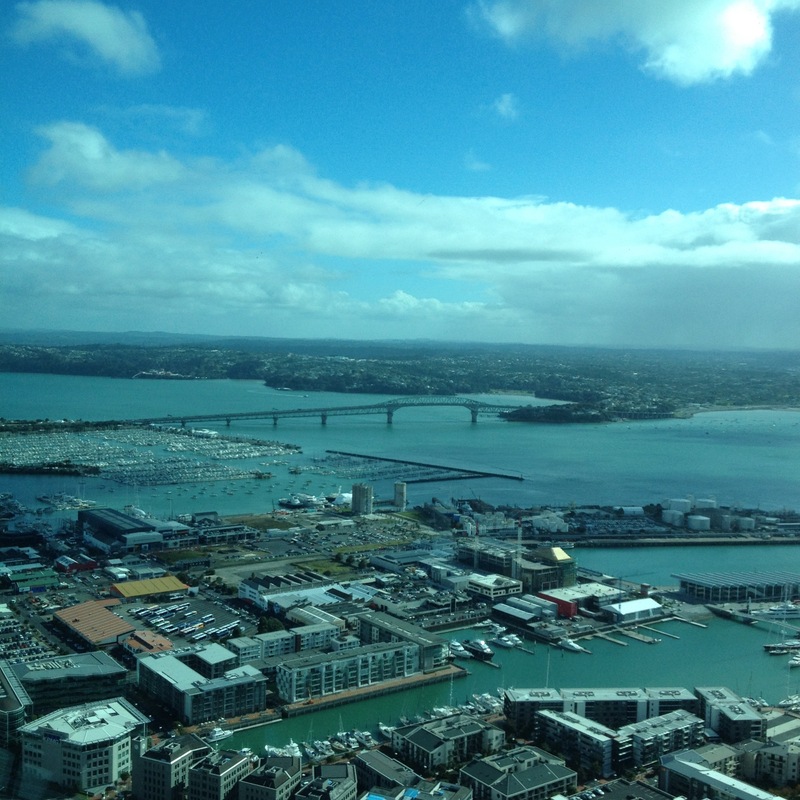 If the views aren’t enough, you can also bungee jump 192 meters from the top observation deck. According to Wikipedia, “a jumper can reach up to 85 km/h (53 mph). The jump is guide-cable-controlled to prevent jumpers from colliding with the tower in case of wind gusts.” Good to know! Admission is $28 NZD for adults.